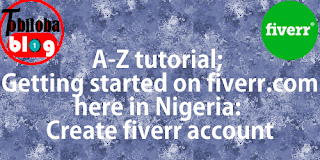 A-Z tutorial; Getting started on fiverr.com here in Nigeria: Create fiverr account . 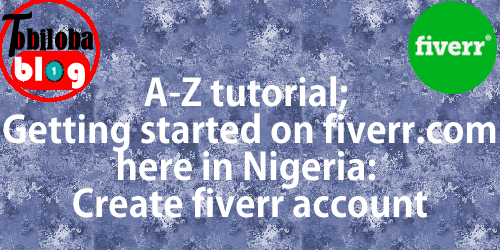 Getting Started on Fiverr.com Here are the steps involved in getting started on Fiverr in Nigeria. Step One: Open an Account Go to www.fiverr.com and open an account for free. To open an account on the website, visit www.fiverr.com, click on sign up and fill in your email address, desired username, password and the security question. They will send a mail to your email address, confirm your email address and you are all set and ready to do business on Fiverr.com. • Choose a username relevant to your products and services. If you have a popular username on other social media platforms such as Twitter for example, this may help you direct your Twitter followers to your gigs on Fiverr. This is very important as it can help your customers understand what your business on Fiverr is all about. Of course you can opt in for a business type user name or even a favorite username that you use on other websites but it makes it easier to find when you incorporate what you are offering in gigs as your username. Try to be as professional as possible with your Fiverr username while staying friendly and inviting. • Get a nice photo for your profile avatar. One of the things that you will want to show to your customers is that you have a "face" with your business. You can use a photo of yourself or a graphic that represents what you are doing on Fiverr. Whatever image you choose to use, ensure you use an attractive image in order to command enough respect. Coincidentally, a number of Fiverr sellers offer gigs where they can create personalized drawings or graphics of your portrait which can be used on Fiverr or just about anywhere else. • Complete your Fiverr profile page. Seem like it has had more time put into it than simply creating the account and listing things to sell. • Compare related gigs to what you plan on offering. You will want to gauge the quality of the work and feedback of similar gigs which have been listed on Fiverr before. This way you can understand how stringent the competition is and whether or not people are purchasing certain types of gigs from others. This is the simple market research that you need to do so you can understand whether or not you will be offering a unique service to people on the Fiverr platform. 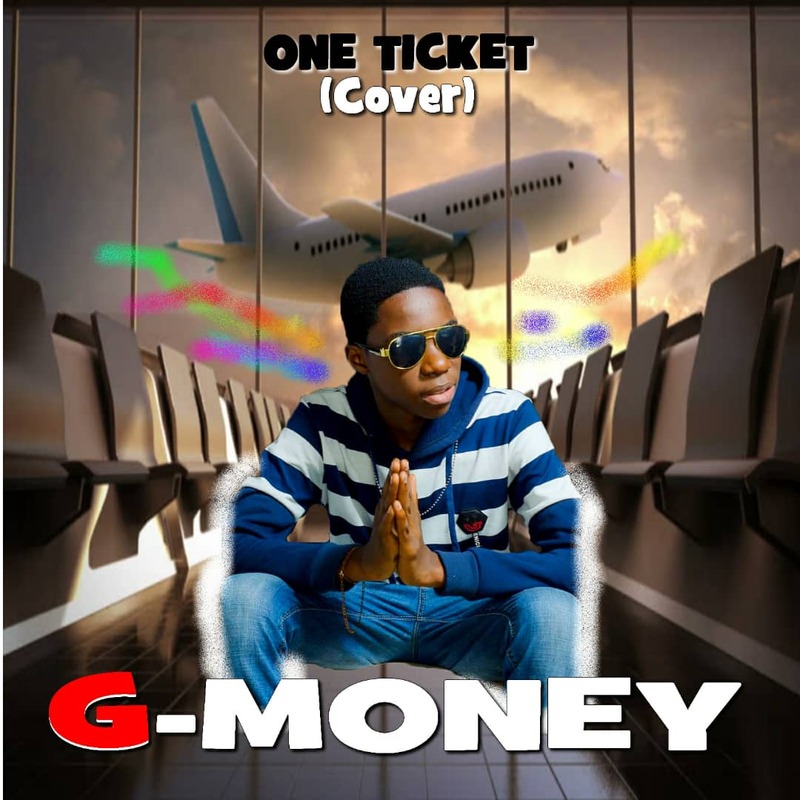 The final step is to put up your gigs to render hot and highly needed services. After setting up your profile information, the next point of action is to start putting up your gigs (the services you want to render). This is very important but many people do not know. Take note that not all services sell on Fiverr. There are some hotcakes services that if you render on Fiverr, you are rest assured of making your first dollar online within 6hours. No exaggerations please!